Before the Wednesday evening finale of a three-game series between the Braves (first in the NL East) and Phillies (second in the NL East by 1.5 games before first pitch), manager Gabe Kapler seemed unusually in touch with the high stakes of the May contest at Citizen's Bank Park. There are more than 100 games remaining this season and the upstart Braves — as well as the Phillies — could very well teeter out of contention as the wryly veteran Nationals and Mets will likely come on stronger this summer. How could a single game against a division opponent in May be that important? Well the Phillies still don't really know how good they are. But the meaningful games will do a lot to help the squad — built mostly on players who have no experience playing meaningful major league baseball could serve the team very well further down the line. They are pitching like contenders with one of the six best staffs in the league. In their last 19 games, the Phillies have allowed one or fewer earned run 14 times. Odubel Herrera is playing like he's on his way to a batting title, reaching base in 48 of his last 49 games and starting in July's All-Star Game. But the schedule has been soft. Don't rest easy though, it's about to get a lot tougher. After they host the Blue Jays this weekend a perilous road trip to face the Dodgers, Giants and Cubs will make for a challenging start to June. After that, they'll play the first place Brewers six times and first place Rockies three times before they play the playoff contending Cardinals. And then, two series against the NL East favored Nationals with the power-hitting Yankees in between. By the time July starts, the Phillies could be out of everything. Or they could prove they're the real deal. 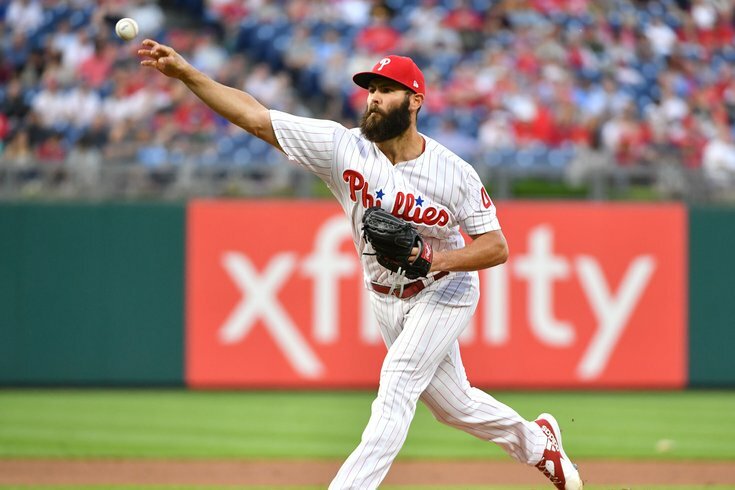 In Wednesday's 4-0 shutout win against Atlanta, Jake Arrieta started slow, allowing four hits over his first two innings but he successfully walked the tight rope before a Carlos Santana infield single (well, accidental swinging bunt down the third base line) put the Phillies on the board during a bases loaded third. Cesar Hernandez added an RBI-single in the fourth to give the Phils a 2-0 lead while Maikel Franco's double in the fifth made it 3-0. One last insurance run came off the bat of Nick Williams (on an eighth inning double). The three two-out RBI were enough to lift Arrieta (6.2 IP, 7K) and the bullpen, led by another impressive outing by Seranthony Domingez, to a series win over the Braves. The Phillies and Braves won't play again for a long time. A really long time. The two youthful squads will not face off again until September 20 (after playing 12 times in their first 47 games). Both teams and the landscape of the league could look at lot different come September, when the teams will face off in seven of 11 games to close out the season. Will the two be in a pennant race? Will one or both be reinforced by a trade deadline acquisition or two? Or will the 40-man expanded rosters be the only interesting parts of the late-season games? For now, all we know is that the Phillies are very much in the mix at 28-19, just a half game behind Atlanta as the marathon season continues on.